I'm pleased to be able to announce to you our newest product, the Orion module. This is the result of months of development and testing by myself and Idris as well as the invaluable feedback from a number of beta testers. Accuracy, the Orion module has been shown in tests to be up to twice as accurate as the Piezo20 module. Ease of assembly, the Orion module has only three parts and five screws. Brass threaded inserts already in place. Rigidity, the Orion module does not rely on the strength of the piezo disk to hold the clamp in place. Durability, no delicate piezo solder joints in the Orion module. Brass threaded inserts make for much more robust connections. Flexibility, today we are launching four different kits, groovemount and screwmount each with the option of bowden or direct drive feed. Dedicated kits for the CR-10 family and TronXY X5s are on the way. 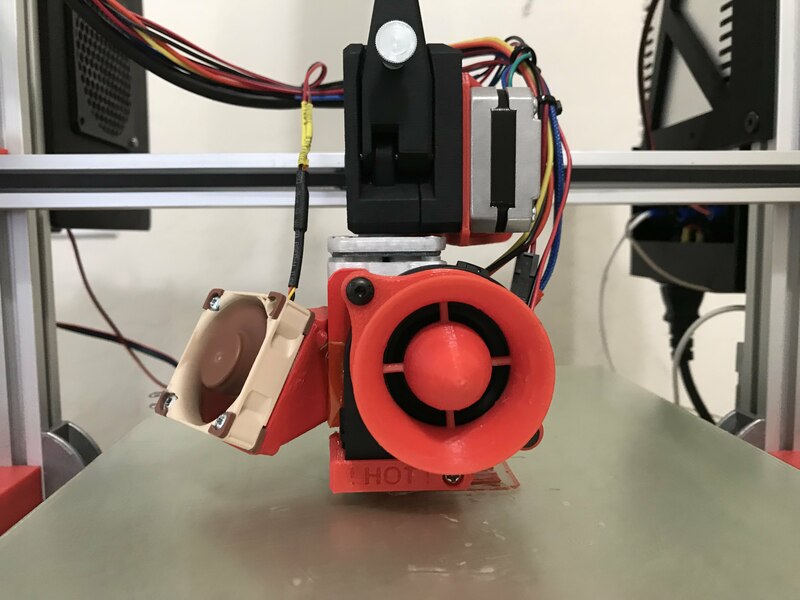 Hotend clamps for E3D Chimera/Cyclops and Microswiss hotend under development. Integrated bowden fitting, bowden versions come with an integrated bowden collet allowing use of a wider range of hotends without issue. We're really excited about this new development and we hope you will be too, if you have any comments or feedback we'd love to hear it. is there anything for chimera dual extruder? Not yet, underbed setup is still the most likely setup to work for more complex hotends. Nice! Do you plan to release those for underbed setups? So far those look like single channel only. Great to see more innovation on the pizeo sensors. Just out of interest, do you plan to make a version compatible with the v6 threaded heatsink? @Mike - this type of PCB might be useful in an underbed setup, but it won't eliminate wires (which is the primary purpose of the Orion over the Piezo20) as invariably you'll need three units one for each bed support and they will need to be wired together. As such underbed is still best achieved using 3 piezos and one controller - the universal kit PCB. @Jackal - this is an interesting question, we could make the lower clamp part with just a thread in it, or an embedded M12 nut (I think its M12 fine thread isn't it?). However the threaded heatsink has its best application on the Smart Effector (where you do not need a piezo z -probe), but the Orion clamp for the groovemount is extremely secure, so if you want to use the Orion I'd buy ideally, a genuine V6 groovemount heatsink, but practically a clone v6 heatsink will do. You don't need bowden on the heatsink as the Orion has a straight through bowden coupler like a v6. Wow. Your Orion module is looking very interesting. 1. Will this module be available without 3d printed parts? 2. Can i use it upside down, to place the connector on top side? 3. Where can i get its dimensions with holes? Hi thanks for taking an interest. 1. Eventually, production so far is being channelled into the complete units, demand is fairly high, but we would expect a PCB only offering at some point. Whether it will be significantly less expensive is doubtful as the PCB constitutes quite a chunk of the value in the system. 2. Yes you could repurpose the pcb to work in a variety of different orientations. Future designs will potentially allow use as a titan extruder mounting plate for example.